Additive manufacturing is revolutionizing industry by allowing companies to fabricate components layer-by-layer from 3-D computer-aided designs using a laser or electron beam. 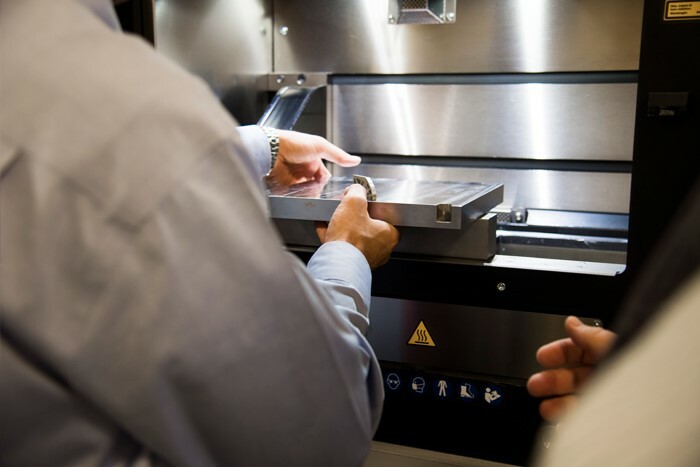 However, small manufacturers often do not have the resources or expertise available to incorporate additive technologies into their manufacturing processes. Auburn Engineering researchers are working to change that. For instance, Bart Prorok, professor of materials engineering, is using cathode ray tubes salvaged from television sets to produce an electron beam to 3-D print metal components. Prorok, who studies electron beam processing, found that the simple and inexpensive tubes are easier to integrate in additive machines and can better control the electron gun used to process the materials. His research could be a game-changer for small manufacturers, for whom additive technologies were once impractical or too expensive. Prorok’s research has led to a collaboration with Tony Overfelt, William and Elizabeth Reed professor of materials engineering and director of Auburn’s Center for Industrialized Additive Manufacturing. Overfelt is working to develop industrialized additive manufacturing technologies for small manufacturers. Similar to Prorok, Overfelt is experimenting with different input materials and microstructures while making modifications directly to the additive systems. His research has the potential to contribute to workforce development by helping the next generation of engineers learn this specialized technology. The combination of Overfelt’s ability to create microstructures used to 3-D print products complements Prorok’s experience with characterizing them and linking those structures to material properties. “In the additive world, that is a critically important hurdle to get over to actually make products that have usable applications in the field,” Prorok said. Now, with Prorok and Overfelt’s combined research efforts to build smaller-scale, more cost-effective 3-D printers, small businesses could have the same opportunity to employ additive technologies. “We’re developing low-cost machines so that small business can prototype what they’re looking to build, and decide if they want to make a larger investment in the commercial units,” Prorok said.